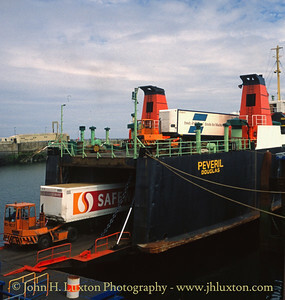 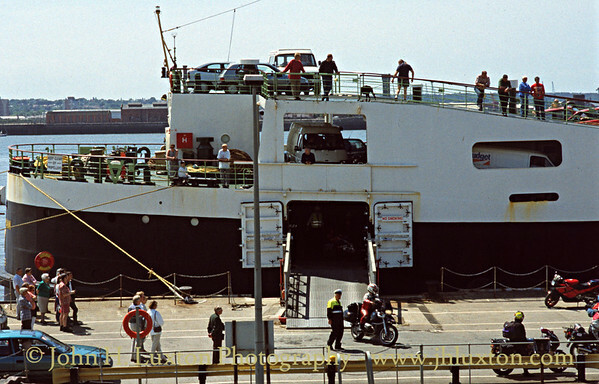 In Spring 1996 the Isle of Man Steam Packet Company was acquired by Sea Containers Ltd with the company being the hub of its exapanding Irish Sea operations. 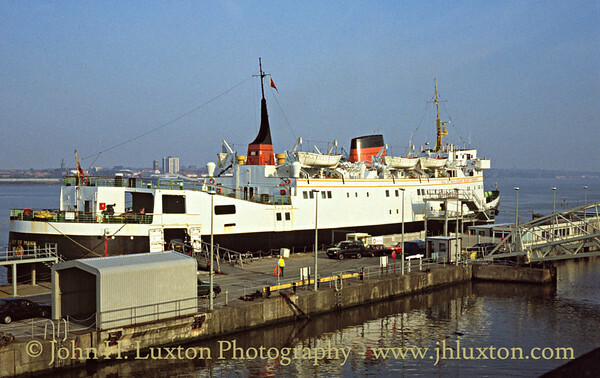 King Orry approaches Liverpool Landing Stage - April 13, 1996 just a few days into Sea Containers ownership. 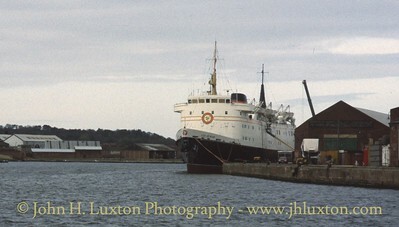 Lady of Mann Preparing for the 1996 Season - May 04, 1996. 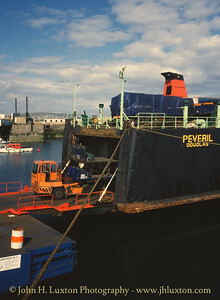 Just a few weeks into Sea Containers ownership the ship was to see extensive use over the next few years. 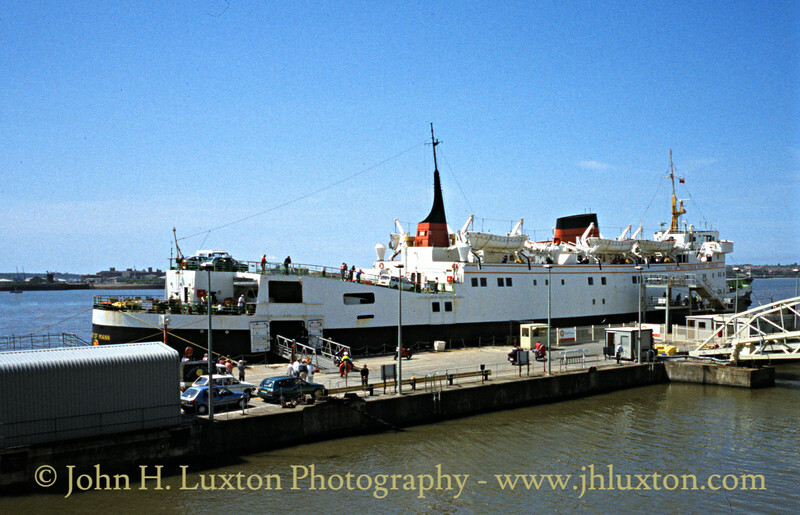 LADY OF MANN discharging returning TT traffic at Liverpool Landing Stage June 08, 1996. 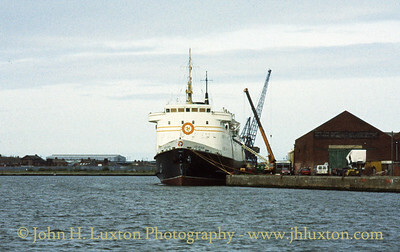 LADY OF MANN loading at Liverpool Landing Stage for her morning sailing to Douglas on June 15, 1996. 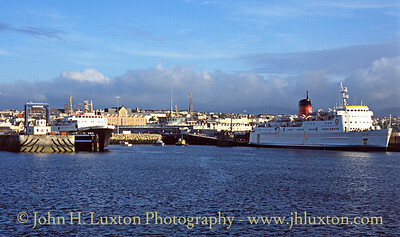 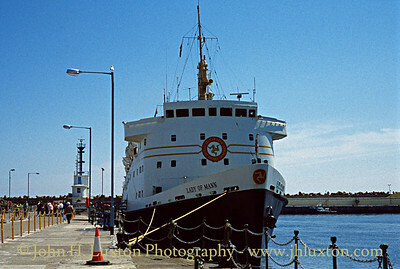 LADY OF MANN at Victoria Pier, Douglas after arrival from Liverpool on May 15, 1996. 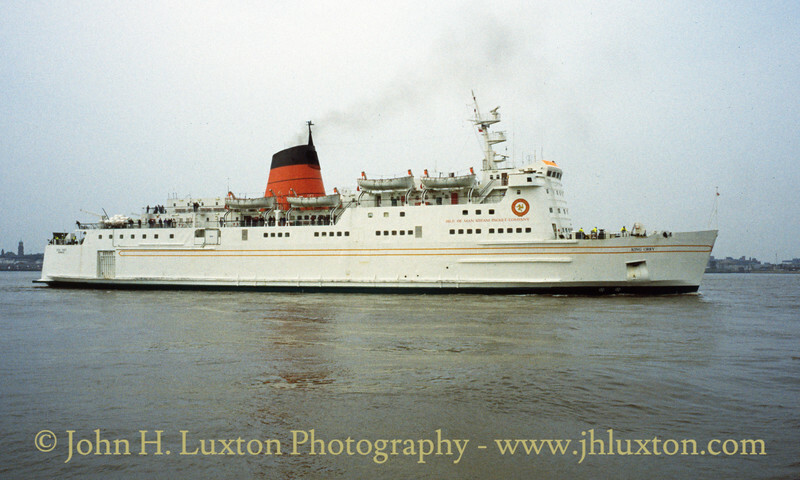 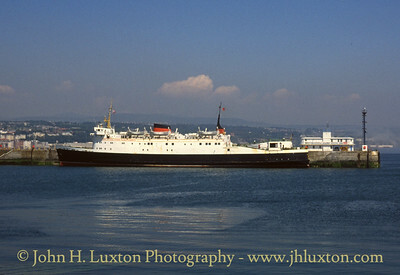 LADY OF MANN outbound for Douglas near the Liverpool Bar June 22, 1996. 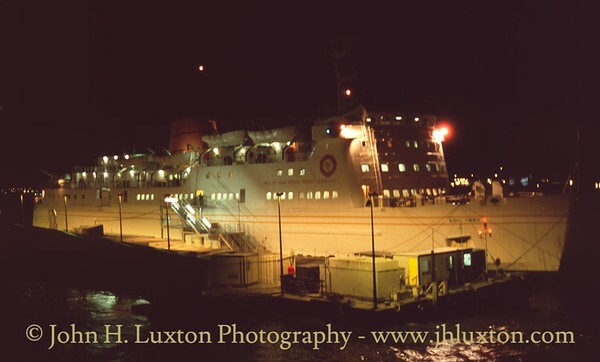 KING ORRY awaits departure at Liverpool Landing Stage on the 01:30 Liverpool to Douglas sailing, July 06, 1996. 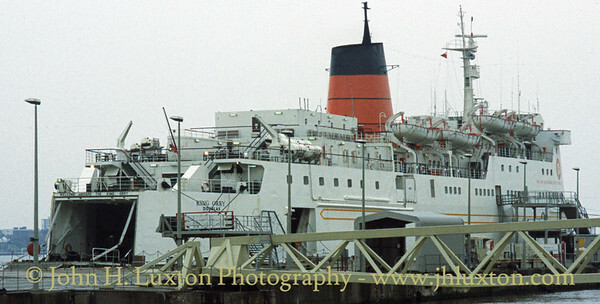 Hand held shot hence slightly fuzzy! 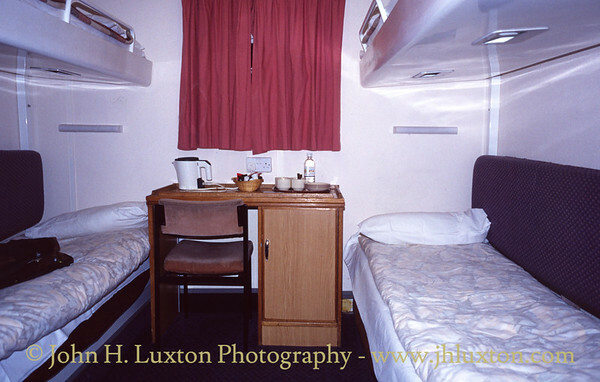 Cabin A8 interior on board KING ORRY photographed on July 22, 1996 on her 01:30 sailing to Douglas. 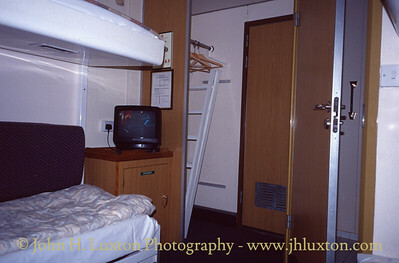 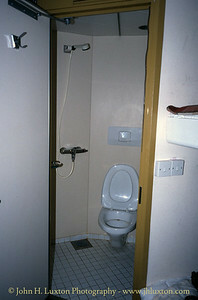 The cabins were located behind the funnel in a module which had been added to the ship when she entered Steam Packet service. 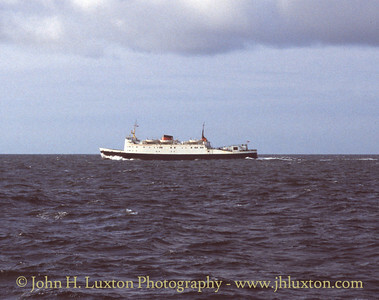 They were noisy and vibrated dreadfully with the crockery rattling! 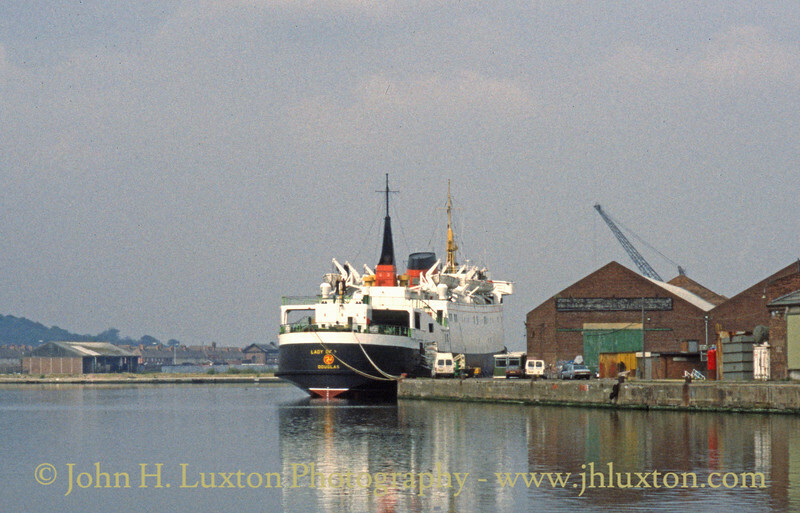 KING ORRY berthed in Douglas Harbour on July 22, 1996 after her arrival on the 01:30 sailing from Liverpool. 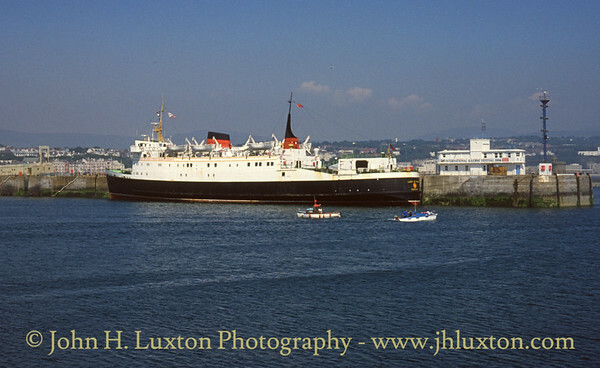 KING ORRY berthed in Douglas Harbour on July 22, 1996 after her arrival on the 01:30 sailing from Liverpool. 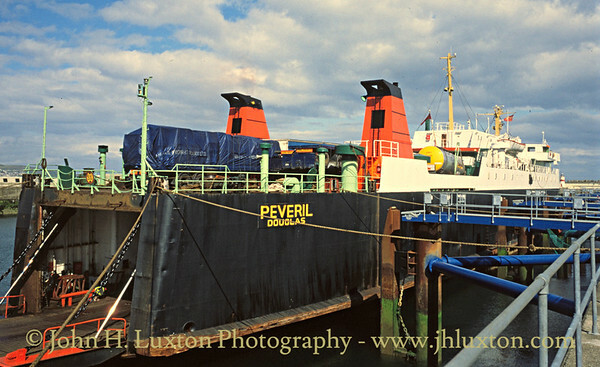 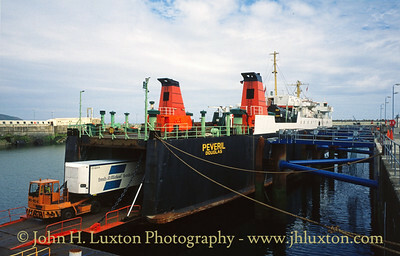 PEVERIL is discharging on the Edward Pier after her overnight sailing from Heysham. 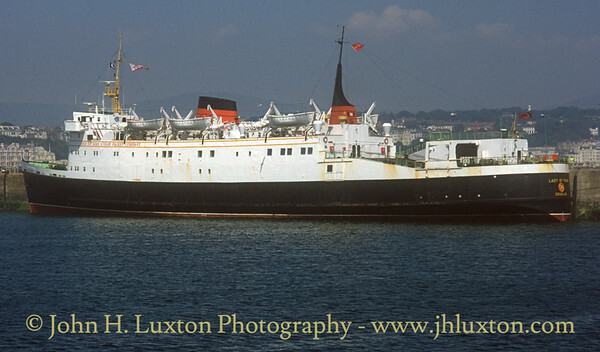 LADY OF MANN at Douglas Victoria Pier on July 13, 1996 after her morning sailing from Liverpool. 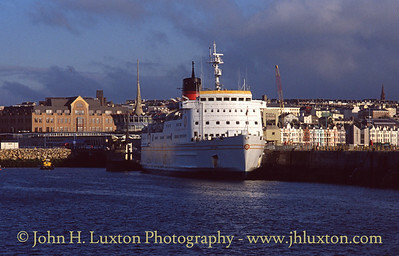 LADY OF MANN at Douglas Victoria Pier on July 13, 1996 after her morning sailing from Liverpool. 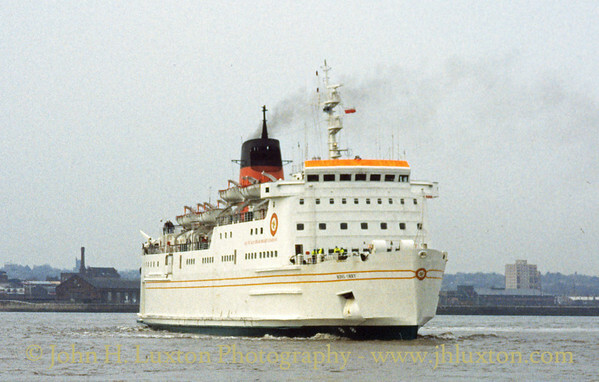 Note that she is flying her name pennant from the fore mast.